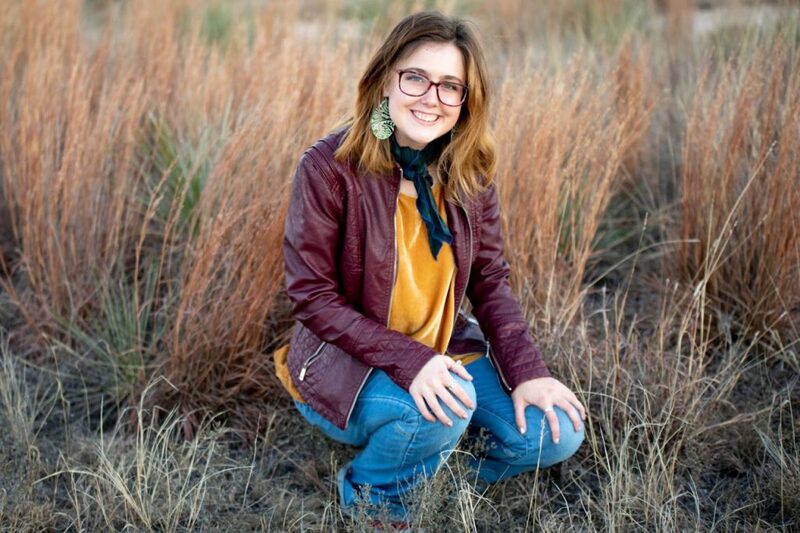 Faith Massingill is a senior at West Texas A&M University majoring in Agriculture Media and Communication. She grew up in a small town called, Hamilton, Texas, where she raised both Purebred Angus and Red Angus cattle with her family. She was very active in 4-H and FFA, competing in every contest possible which all led to her finding her passion. At school, Faith is heavily involved with the Agricultural Communicators of Tomorrow serving as an officer as well as an Ag Ambassador for the Department of Agriculture. She hopes to find herself working for the cattle industry one day as she continues to pursue her passion for advocating the agriculture industry. Faith can’t wait to meet everyone and get to work with the American Shorthorn Association! Wade Minihan grew up on a commercial cow operation, as well as a Registered Hereford operation in Wheaton, KS. The operation is managed by his parents, alongwith his older brother, twin brother, and younger sister. Wade is currently attending Fort Hays State University in Hays, KS pursuing a bachelor’s degree in agribusiness, with a minor in marketing. Involvement on the collegiate level consists of Vice-President of Block and Bridle on the campus of Fort Hays State University. 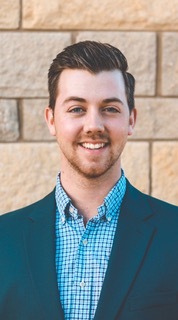 In addition, he serves as a senator with the Student Government Association and he is a junior board member of the Kansas Junior Hereford Association. Wade has been showing cattle for the past 14 years at the county, state, and national level. Wade has a passion instilled in the cattle industry and for the next generation of the livestock industry. He strives to be a role model for the younger generation, as they are the boots on the ground representation that is to come. Wade believes there is no better achievement than having the ability to assist and motivate the youth of this industry that we are all passionate about. He is excited to be the youth activities intern for ASA this summer! Wyatt Minihan is currently a junior at Kansas State University majoring in Agriculture Communications and Journalism. Wyatt grew up in the small town of Wheaton, KS where his family owned and operated a commercial, cow-calf operation while also raising and showing registered, Hereford cattle. Growing up in the rural community sparked his ambition to become an advocate for the agricultural industry. While attending K-State, Wyatt has been involved in many clubs and campus activities including the Agricultural Communicators of Tomorrow and Block and Bridle. Wyatt plans to use his interest in photography, graphic design, and passion for agriculture in his future to better serve the agricultural industry. 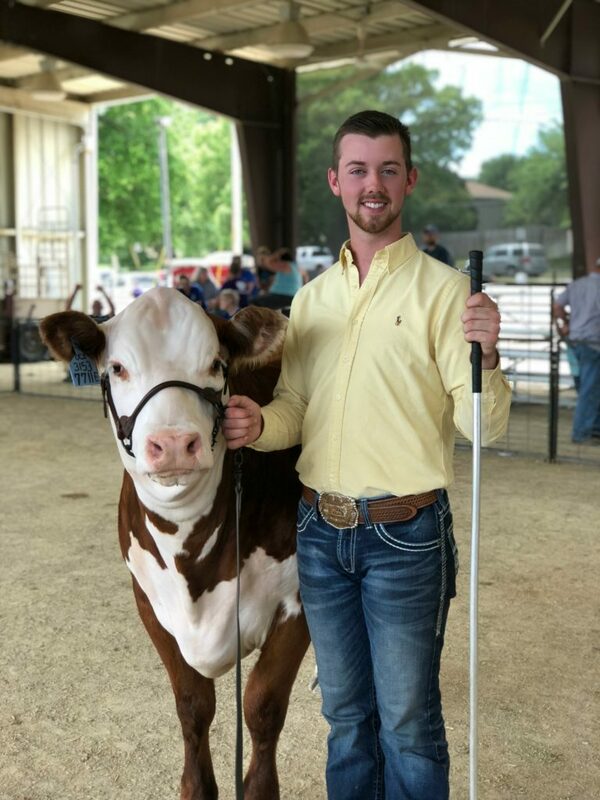 Wyatt is looking forward to serving as your communications intern for the AJSA and learning more about the beef industry and this association. I would like to address some questions that members have been asking ASA board members. I hope the comments and information provided in this Association Outlook will resolve some of these inquiries. There appears to be concerns from some breeders or membership regarding how much funding is being spent on commercial advertising vs. show promotion. This is easy to answer; the numbers don’t lie. I am going to be a little like the infomercials we see on TV and tease you by addressing some issues before getting to your answer. First, I hope that as a Shorthorn breeder or member you agree that the most important part of any promotional campaign is that Shorthorn cattle are being publicized which of course, helps the breed. When the breed is exposed, all Shorthorn breeder’s benefit. The promotion of show ring animals vs. commercial or bull production question originates with breeders who are devoting their resources to one or the other. I understand their interest is directed to the marketing that benefits their personal operational agenda. I want to assure all members and all breeders that the ASA has many members whose purpose in raising Shorthorn cattle is not the same. It is the position of the ASA, staff and Board of Directors that we provide customer service for the needs of all membership as much as possible. It is also important to provide a united front as a breed. This business of only looking at the breed as a show ring breed or a commercial breed will present failure in the future. It is time to have a united focus that betters all segments of the breed and respects each other’s choices or reasons to raise Shorthorn cattle. True breed growth will only transpire when we as a membership show respect and present a unified image. In the Hereford breed when the polled association and the Hereford (horned) association merged, the ranks were sharply divided, and it took years to overcome. Only after each group conceded some devout beliefs and narrow views, did each segment gain respect for the other. The breed united and flourished. And, as their breed became more commercially accepted, their show type animals sored in price and the breed grew in popularity. If we evaluate other breeds in the industry the same type of progression transpired. It is important to have a commercial base under a breed for all involved to reap the benefits. Now, to answer the original questions. First, the audit for the past fiscal year, showed the ASA spent $108,000 on breed promotion last year this is up from $78,000 the previous year. All show expenses, premium monies, and advertising of any type that benefit the breed are included in the total for breed promotion. Last fiscal year, 45% of total breed promotion was spent on show promotion and expenses. The remaining 55% went to general ASA advertising; including commercial advertising. When I go back to 2016-2017 fiscal year, the $78,000 breaks out very similarly, with around 46% being shows and expenses with the remaining 54% for general ASA advertising; including commercial advertising. Both gross breed promotion amounts include all co-op advertising contributed by the ASA. Perhaps some of these questions arose because the American Rancher shows primarily feature commercial type operations. Just so everyone knows, the time each breeder gets on the show is paid for by that breeder. It is their time to tell the industry about what they do. Some who have paid to be part of this program would be considered both commercial and show operations. Yes, they do exist – breeders who are doing both. They produce commercial cattle and show cattle, and market both. If you are interested in participating in a future American Rancher show, please feel free to contact me. The next question may be how many ASA members are show and how many are commercial. There is really no way to determine this number. We are all members of the ASA and the goal we have in common is to promote the Shorthorn breed. The vast majority of the animals exhibited at ASA national shows are ET born calves. Around 10% of all registrations are ET calves and around 50% of those are shown at national shows. There are many, many breeders who do both – run a commercial operation and support the regional show system, state fairs and/or county fairs – an important function that keeps Shorthorn in front of the industry at the grass roots level. These folks fall into a combination show-commercial group. The ASA does not have this type of information showing how many breeders are combination show-commercial operations. Polling from the 2015 Impact Conference does show that a majority of our membership/breeders most likely fall into this category as a combination show-commercial operation. As an Association and Board of Directors we want to be transparent. Everyone wants what is best for the ASA and the Shorthorn breed, your Board and staff work every day to try and maintain that. Many things are changing in our industry and will continue to change. It becomes important for us to make the adjustments that keep us up to speed with the technology our industry provides. I believe our breed is making good strides with new memberships and producing quality Shorthorn cattle. The selection process of improving the cattle in our breed is always evolving. The animals we see in the show ring today contribute to the commercial industry and bull market. The bulls being raised contribute to the show ring. It is important that we maintain this crossover and united front as breed. Remember, we are judged by both the show ring and our bull sales and it is equally important that both excel and provide a similar type of animal that can contribute to all segments. Together, we are the American Shorthorn Association!